BRIGHTON, Mich - The University of Kansas's WellCar Program Received a Ford Transit Connect Donation for one year that will help to provide mobile medical care to non-ambulatory patients living in rural areas. One may have to travel for hours to a doctor or health care facility from a rural area; but with the help of the this rolling medical workstation, testing, diagnosis and treatment and prescribed medications will be available right outside their door. The University of Kansas was in need of a vehicle that would allow the nurse practitioners to travel to as many as six patients a day, carrying all of the necessary medical equipment and communicate wirelessly for treatment purposes. Fortunately for the university, the Ford Transit Connect possessed the efficiency, cargo capacity and maneuverability that the WellCar program had been searching for. 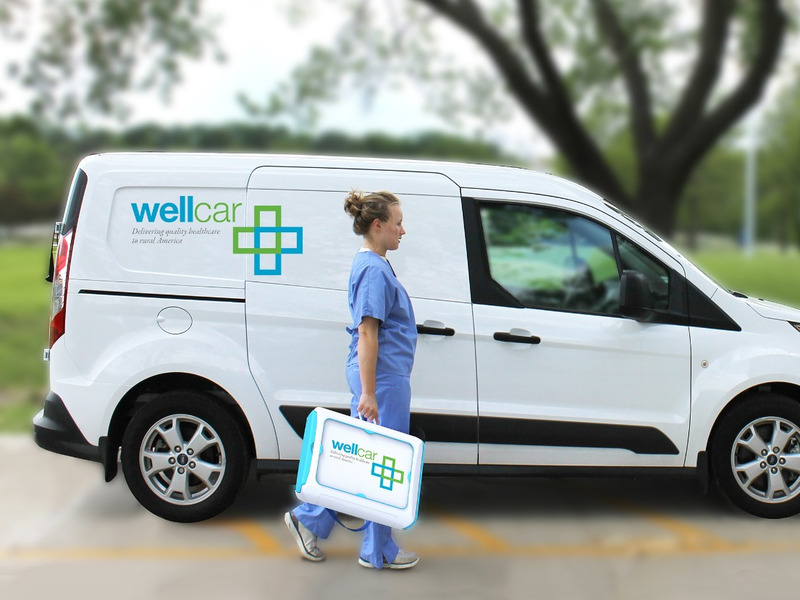 The WellCar Transit Connect is going the extra mile for patient care and differing itself from current medical vehicles by providing patients with a vast range of extensive, prevention-based medical care services. Transit Connect can be ordered without windows in the cargo area for amplified security and has several different wheelbases available for more space and options for setting up equipment. The van also allows for nurse practitioners to securely transfer medical data through its very own Wi-Fi hotspot to a medical center. Nurse practitioners may then administer treatment and prescribe medications if necessary. Advanced industrial design and engineering students from the University of Kansas will develop the specifications for installing the medical equipment, then incorporate the equipment and connectivity into the WellCar Transit Connect. The University of Kansas's WellCar Program Received a Ford Transit Connect Donation, making one of four WellCar Transit Connect vans that the university intends to deploy to serve western Kansas. The university has already received interest about expanding the program to Nebraska, Missouri, Oklahoma and Texas. Looking for a dealership that will take care of all of your driving needs? Visit us at Brighton Ford! We have a huge variety of new, used and pre-owned Ford vehicles for you to choose from on our lot! Brighton Ford is located at 8240 Grand River Ave. just north of I-96 in Brighton. We are a family owned and operated business that strives for customer satisfaction. For more information on Brighton Ford visit BrightonFord.com or give us a call at (800) 836-8206.